Turkish-Tiles.com is part of Turkish Arts ( www.turkisharts.com ) Gallery in Istanbul Turkey . 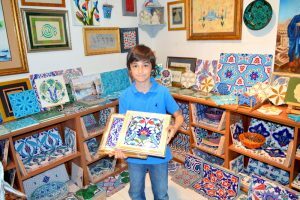 Turkish Tiles Art Gallery based in Istanbul. Established in 1997 and licensed by the Association of Istanbul Mineral Exporters Association. 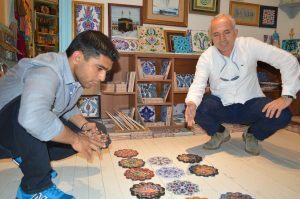 Turkish-Tiles.com was one of the first Traditional Turkish Tiles Art Gallery its located in Sultanahmet – Istanbul . 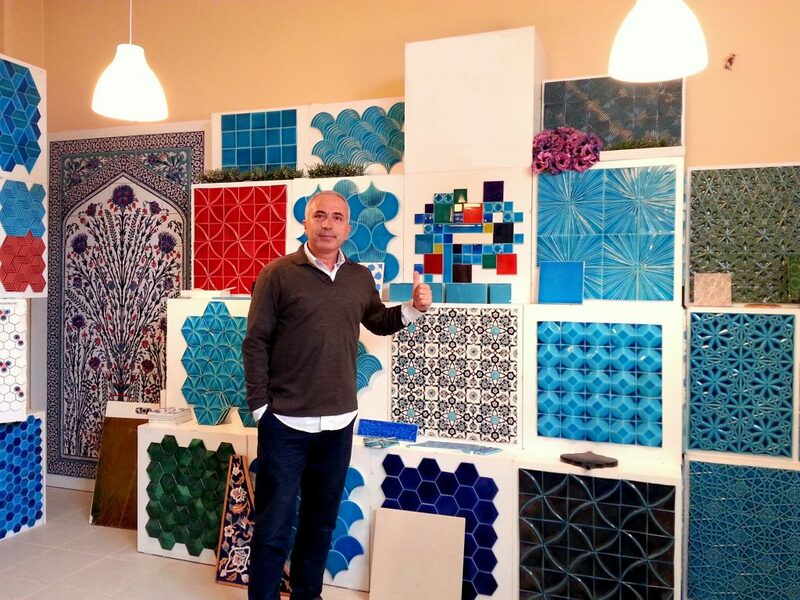 Tiles businesses to recognize the rapidly expanding capabilities of Turkish Tiles arrangements. 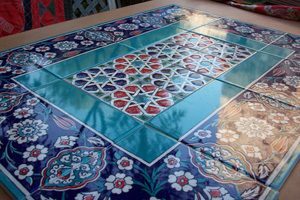 As a full-service of Tile arrangements and tile destination management company, we are involved with far more than merely providing Art tours & Workshops / Teaching tile Paintings and tile Classes by our artists and more service we provide to clients with pleasure . We also make their hotel reservations, airport transfers and routine sightseeing. Turkish destination management company and travel agency based in Istanbul. Turkey . Our marketing policy in general constitutes of North America, Far East countries and all European countries.We have very strong international relations with Art & Culture foreign Artists and Art and travel magazines and close relationships with Universities and more correspondants for Turkey of foreign newspapers and such as Le Monde, Le Figaro, Agence France Presse (AFP),among others and provide the Logistic background and support for the French Guide Routard and Petit Fute Guide (Recommended) TripAdviser & Lonely planet and we are responsible for determining the advertising policy of these publications. 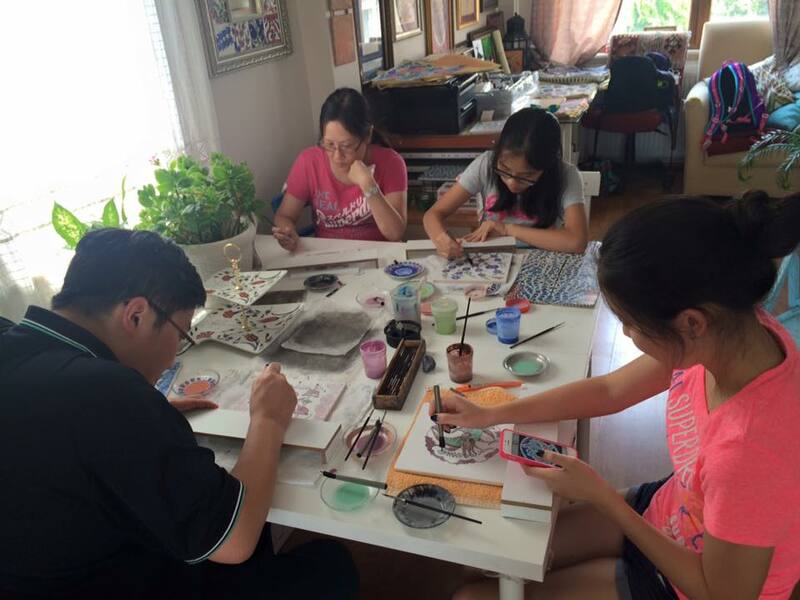 We are committed to offering Art and culturel lessons workshops, classes, tours, travel services of the highest quality, combining our energy and enthusiasm, with our years of experience. Our mission is to make booking our client’s cultural activities with travel itinerary as simple as possible therefore we have concentrated our efforts in producing quality service, responding to the needs of the times while anticipating the demands of the future. 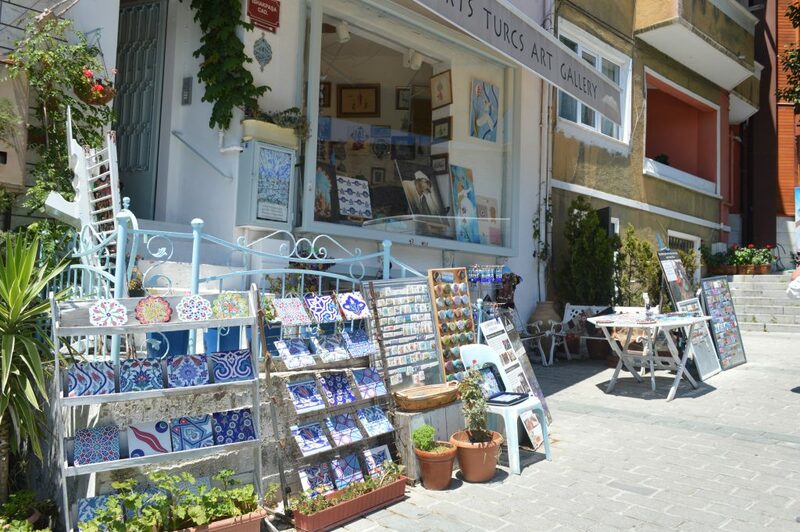 With our Artists and personal approach to each client as well with high quality control of our services and products, we would like to become the leading company in Turkey’s tourism and Art & Cultural market .